Two inmates were discovered to be missing Saturday at the minimum security Federal Correctional Complex in Lompoc. The escapees are the third and fourth inmates to walk away from the prison camp since late September. A total of seven inmates have reportedly escaped the Lompoc prison camp this year. There have been no reports of authorities capturing any of the prisoners who have escaped this fall. 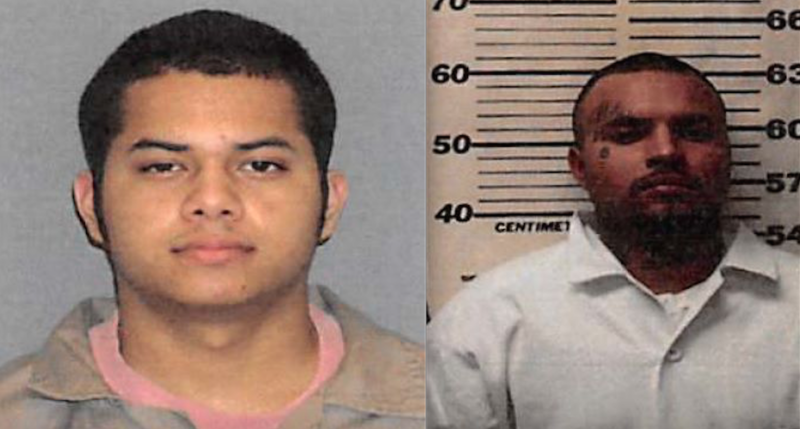 During a routine inmate check Saturday, prison officials determined Jose Alberto Guzman, 28, and Emilio Alonzo-Plata, 25, were missing. Guzman is described as 5 foot 6 inches tall and weighing 120 pounds. Prison officials say Alonzo-Plata is 5 foot 5 inches tall and weighs 160 pounds. Both Guzman and Alonzo-Plata have been convicted of importing methamphetamine and are serving sentences of more than five years. Prison officials notified media on Sunday about the disappearances. Following the previous escape, local residents criticized prison officials for waiting multiple days to publicize the fact than an inmate had escaped. Likewise, prison officials released photos of this weekend’s escapees, whereas they did not release a photo of the previous inmates to escape. On Sept. 26, Vicente Ramirez Jr., 27, escaped the Lompoc prison camp. Authorities described Ramirez as 6 foot 1 inch tall and weighing 270 pounds. He was serving a 15-year sentence for convictions of possession of 5 kilos of cocaine for sales and possession of a firearm. On the evening of Nov. 25, prison officials determined Hector Medina, 37, was missing after he was not located during a routine inmate count. Medina had been serving a 17-year sentence for drug possession and distribution. Authorities described Medina as 5 foot 7 inches tall and weighing 185 pounds. He was last seen wearing a green prison uniform. Prison officials have notified the FBI, United States Marshals Service and state and local law enforcement agencies about the recent escapes. Authorities request that anyone who has information about the whereabouts of the fugitives contact their local law enforcement agency. What makes it a prison when anyone can simply walk away? As California legalizes drugs, it must be very hard to stay in prison for what is now legal. Sadly we can’t let many them out because of job security issues. I’d vote to put the Prison and High Speed rail project on the same budget. That would free up more road funds than Measure J or XYZ ever could ever generate.